FYF Fest has revealed a stellar 2015 lineup, with headliners Frank Ocean on Saturday, Aug. 22, and Morrissey on Sunday, Aug. 23. Tickets for FYF Fest go on sale starting Friday, May 8 at 12 pm. Amoeba Hollywood will have general admission 2-day passes only. They’ll be $185 total. Limit two per person. Store credit cannot be applied to concert ticket sales. A purchase gets you a wristband, which will be shipped to Amoeba for pickup in August. Our "What's In My Bag?" series won a Webby Award today for Best Online Film & Video: Variety Show! We were up against some brilliant, funny, and thought-provoking shows by SoulPancake (who won the People's Voice Award in our category), Conan O'Brien, MIT and Fandango. It's amazing that our little series - of which we are so incredibly proud, don't get me wrong - would be nominated with those folks, let alone honored by the Webby judges with the win. If you're not familiar with the Webbys, it's an annual international award that's been dubbed "the Internet's highest honor" by the New York Times. Some of the other winners this year include The Onion which won its 18th and 19th Webby for Best Humor Website; The Creators Project which won a Webby (and a People's Voice Award) for Best Art; Pinterest which won a Webby (and a People's Voice Award) for Best Social Media; and Dumb Ways to Die which won for Best Viral Video. Additionally, the Webbys have named Amoeba faves Grimes the Artist of the Year and Frank Ocean as the Person of the Year. See all the winners here. The following is a list of Amoeba Hollywood's top CD and vinyl sellers (combined) for 2012. All the Internet backlashes and a disastrous SNL performances in the world couldn't wash Ms. Del Rey away. 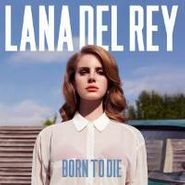 Her Born to Die was Amoeba's bestselling album of 2012 by a longshot. See her Amoeba performance below. 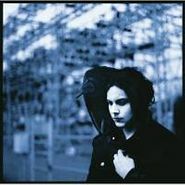 The main man behind The White Stripes, The Dead Weather and The Raconteurs stepped out solo in 2012 with a winner in the blues-lovin' Blunderbuss.